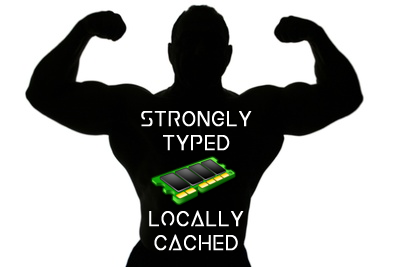 An Emm<Ti> Blog: Kentico Cloud View Model - Locally cached & Strongly Typed? Kentico Cloud View Model - Locally cached & Strongly Typed? The Kentico Cloud Deliver API uses a CDN internally so that your content is available anywhere in the world in a few milliseconds. Even with that awesome speed, wouldn't it be great to locally cache your content? Also, what if you prefer working with strongly typed view models? This is where the EmmTi.KenticoCloudConsumer.EnhancedDeliver NuGet package (still in beta) comes to the rescue. 1. Follow the steps in the Kentico Dancing Goat Example to setup a sample site. 2. Add the following config setting in appsettings of web.config. Tweak the cache time as you see fit. It's just got the Homepage View converted to a strongly typed, locally cached version. I will be updating the rest of the views and code as and when I get some time. The source code for EmmTi.KenticoCloudConsumer.EnhancedDeliver is available on github for you to fork and work on. Contributions, pull requests and comments are welcome.